Futuristic Tunnel, View From Rear Window Of Moving Metro Train. 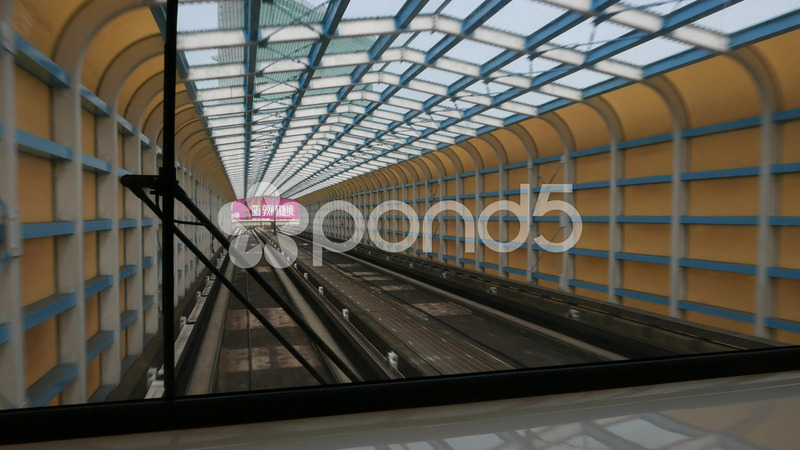 Description: Futuristic tunnel, view from rear window of moving metro train. Perspective and strobe of the construction edges and lines. A bit hypnotizing view of the railway defence\walls construction with transparent top and walls on the sides.